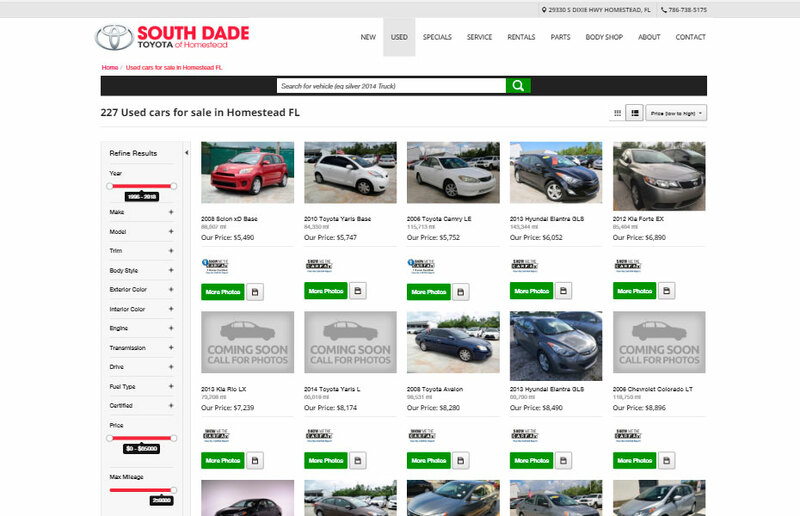 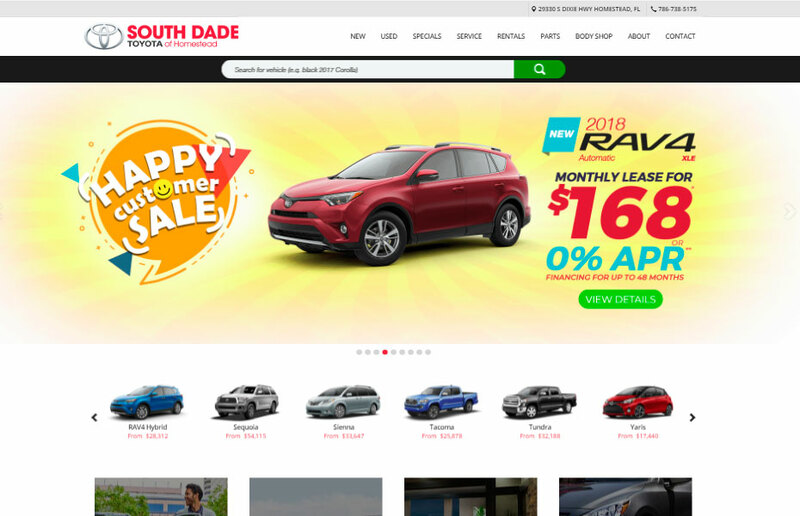 South Dade Toyota is an official Toyota dealer in Miami. 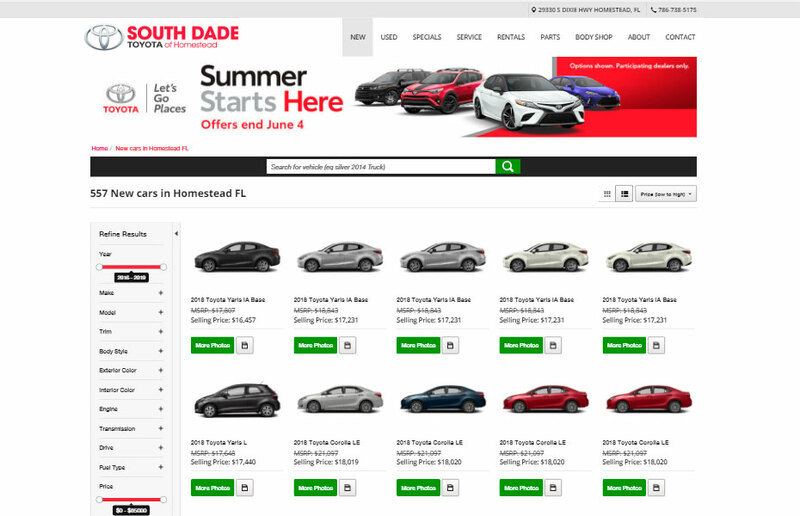 They carry a huge inventory of new Toyotas as well as used and certified pre-owned vehicles for sale in Homestead Florida. 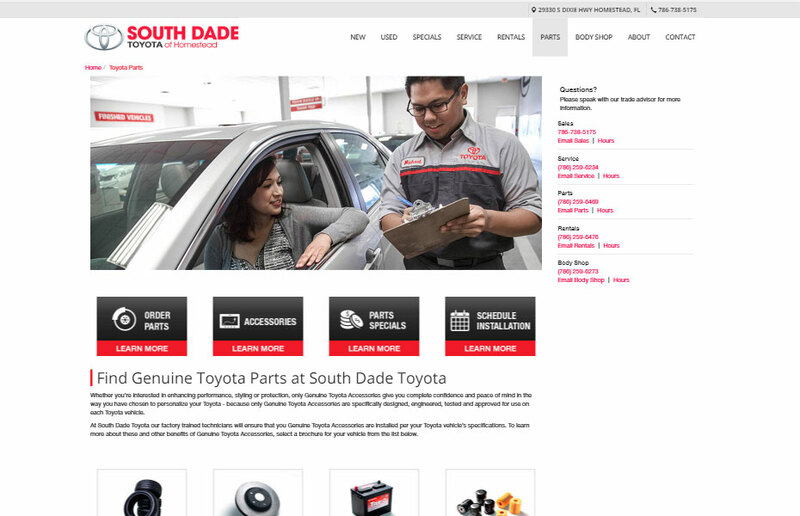 They have an experienced service and body shop department to take care of customer’s maintenance and repair needs.